Reviving an iconic brand is a tall task, but under the patronage of HMD Global, Nokia has been able to do exactly that. Within less than an year of its comeback, it’s made its presence felt amid cut-throat competition. In fact, the brand has been able to grab fourth place in India’s feature phone segment in Q3, 2017 – with the 3310’s 2017 edition (review) possibly playing an important role. 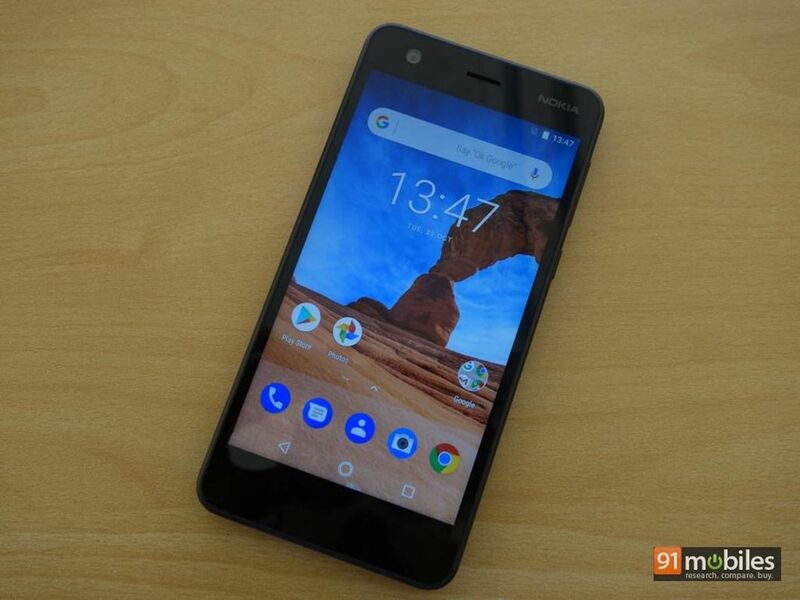 As per 91mobiles monthly Top 20 report as well, Nokia has been able to garner mind share with its Android-toting budget offerings, the 3, 5 (review) and 6 (review). 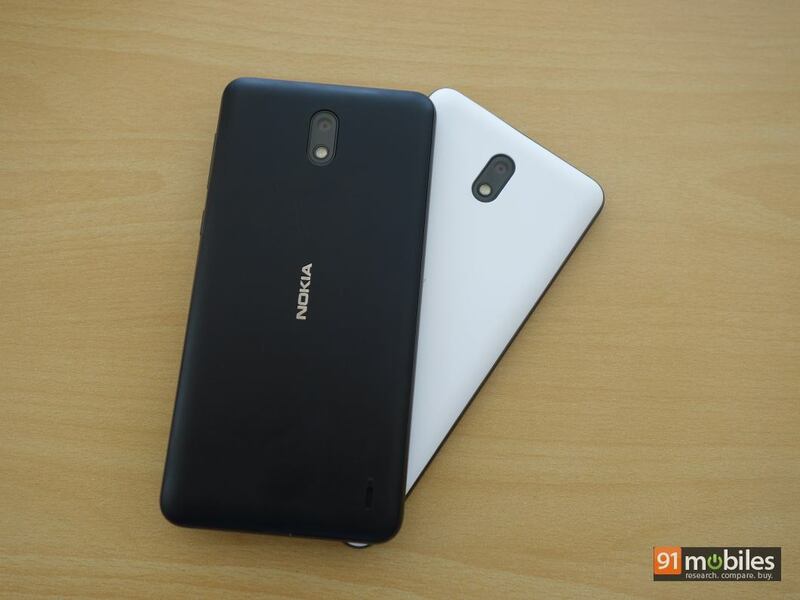 However, there was a significant gap between its feature phone and its most affordable smartphone, the Nokia 3. Until now that is. 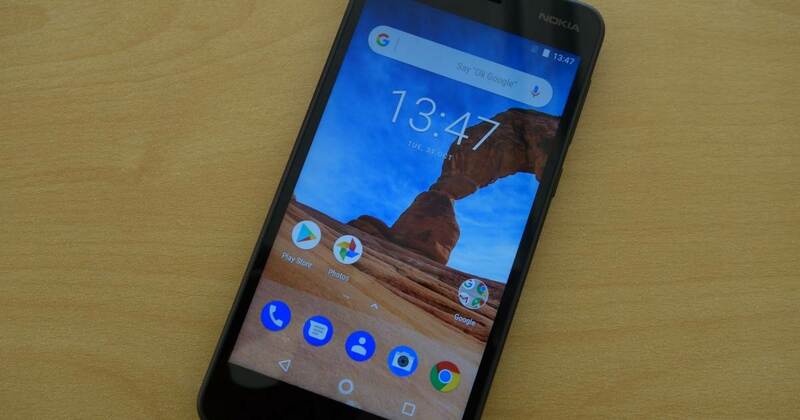 Today, the company took the curtains off the Nokia 2, which fills this gap, and with its global pricing of €99, is the cheapest smartphone in its stable. The fact that the smartphone was launched globally at an event in New Delhi shows the importance of the subcontinent for the HMD-owned brand. 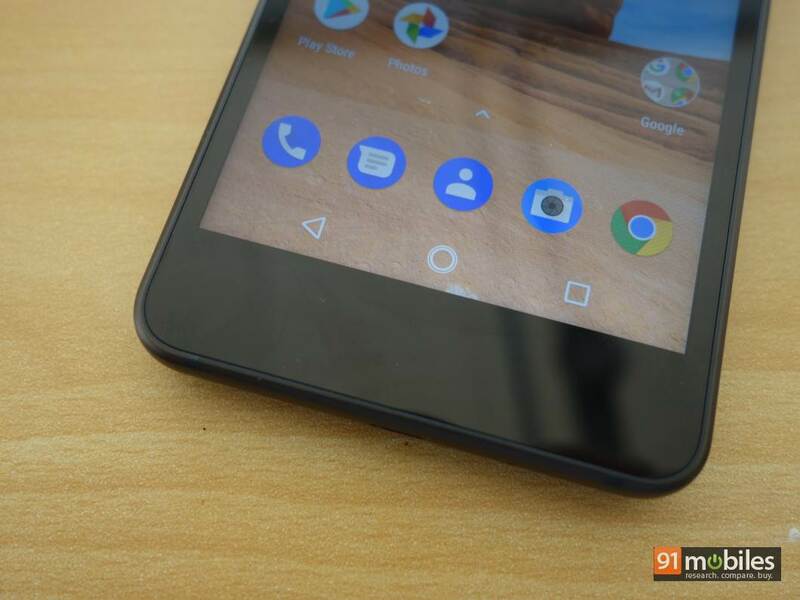 We managed to spend some time with the device and here’s how we’ll describe our initial impressions of the Nokia 2. The latest offering from the brand shares quite a few similarities with its sibling. Similar to the Nokia 3 (FAQs), its younger sibling is constructed out of polycarbonate, though the metal frame provides it sturdiness. The placement of ports and controls is nothing out of ordinary, with the buttons offering a reassuring click when pressed. 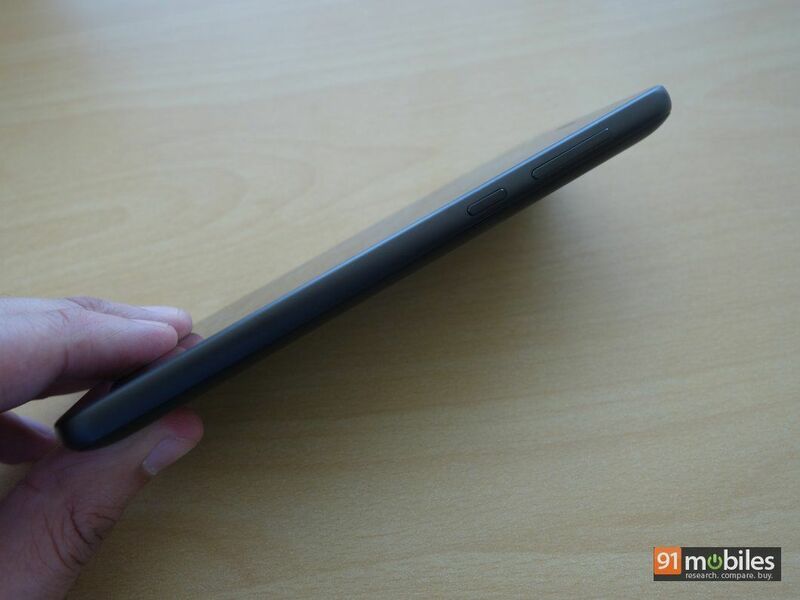 Even though the phone packs in a huge battery, it doesn’t really feel bulky. The matte finish at the back adds to ergonomic comfort along with ensuring that the phone doesn’t slip, even if you have sweaty palms. Giving a unique identity to the phone is its dual-tone finish with the edges offering a different colour than the rest of the phone. It’s available in a combination of black-grey, white-grey, and black-copper, with the last one being our personal favourite as it adds character to the classy hue. While the rumours suggested that the Nokia 2 will sport a 4.5-inch display, the smartphone is actually fitted with a 5-inch screen. 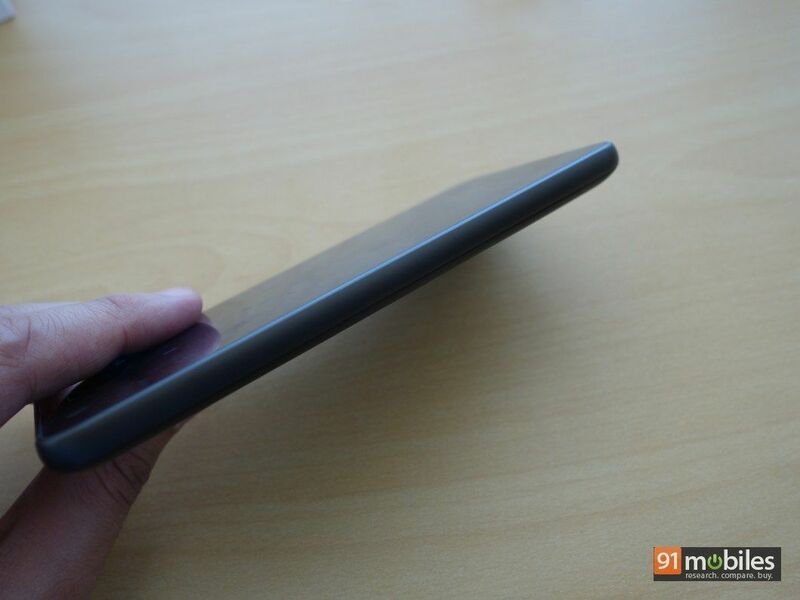 The brand has used LTPS technology to ensure that the display is bright. We loved the brightness levels as we didn’t face any issues in using the phone even under harsh sunlight. With HD resolution, the text appears sharp, and the colours look quite vibrant as well. 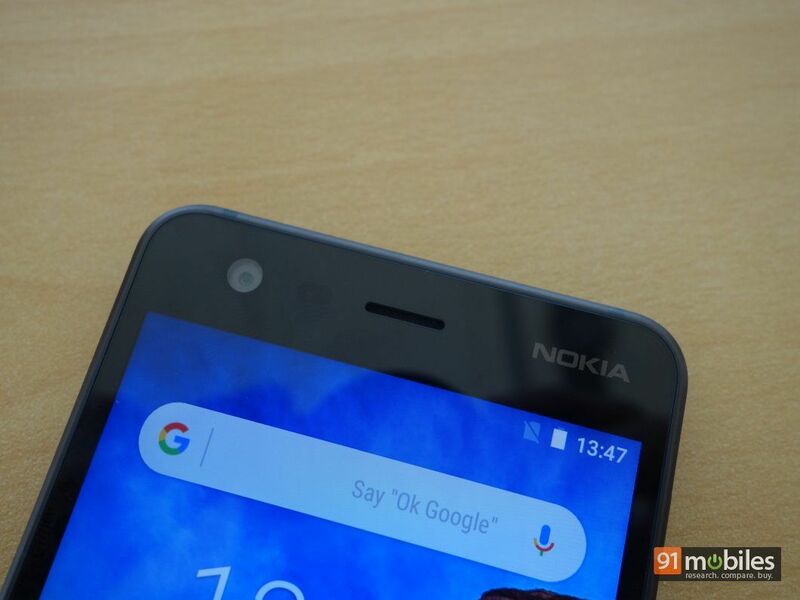 Being an affordable offering, the Nokia 2 utilises the entry-level Snapdragon 212 chipset for number crunching. The processor offers four cores tuned at 1.3GHz. Paired with a gigabyte of RAM, the combination managed to keep up with basic tasks like navigation. The smoothness could also be attributed to the fact that the smartphone runs a stock iteration of Android 7.1.1 Nougat. That said, we doubt the phone will be able to handle high-def games, or even heavy apps, for that matter. In fact, we also noticed some delay while opening apps and switching between multiple apps. 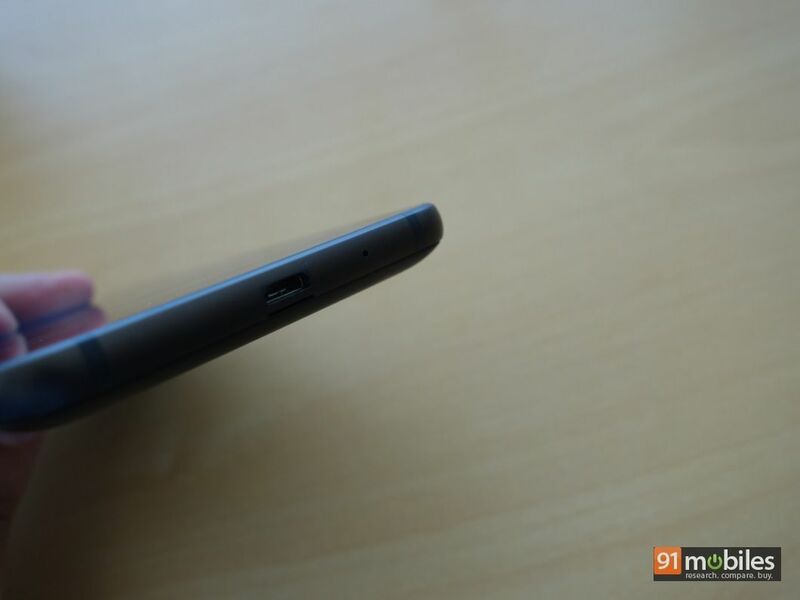 The storage capacity on the phone stands at a meagre 8GB, which can be further extended with the use of a microSD card. 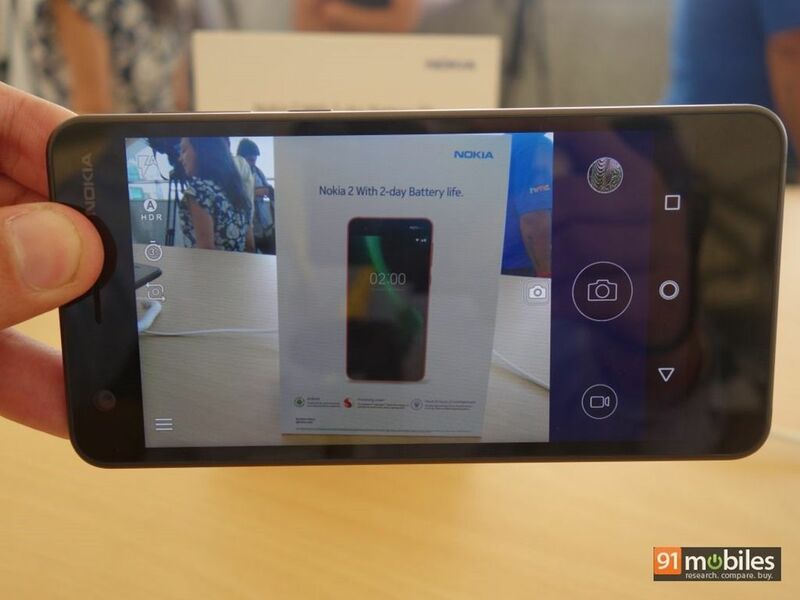 In the camera department, the Nokia 2 sports an 8-megapixel shooter at the back, which is supplemented by an LED flash. At the front, the handset features a 5MP snapper for selfies. Even though the device offers a vanilla iteration of Android, the camera app is customised, and the UI is similar to its brethren. 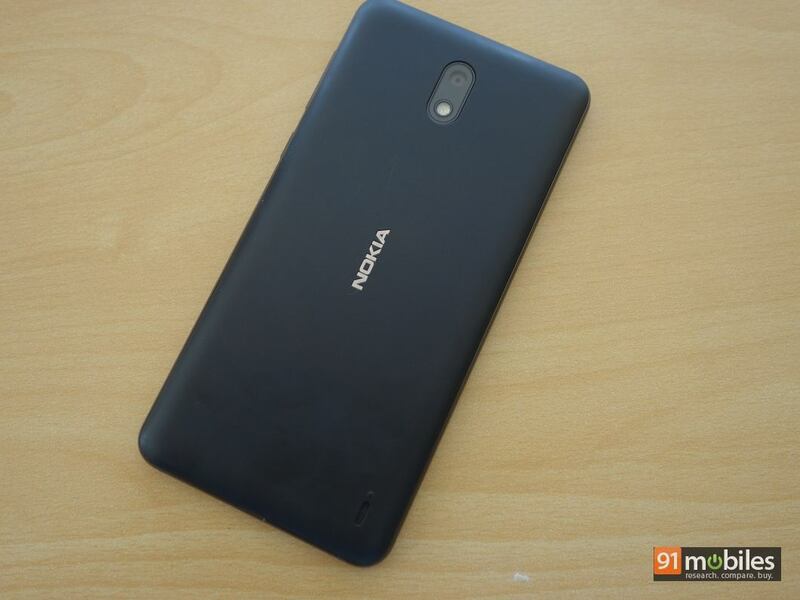 The pull factor of the Nokia 2 resides beneath its removable back panel – the 4,100mAh non user-replaceable battery. The brand claims that the phone will easily be able to last two days on a single charge, and then some more, with such capacity. 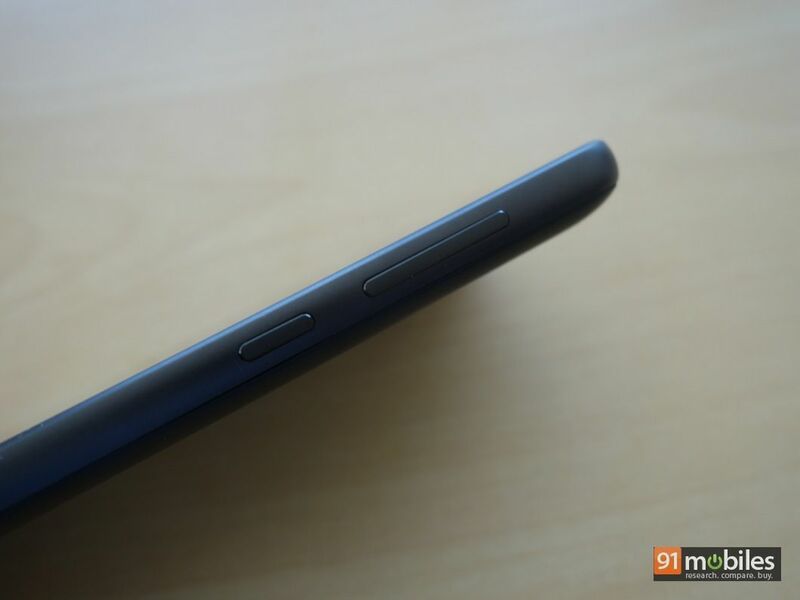 Removing the rear cover also exposes the SIM slots and a microSD card slot – you don’t need to sacrifice the dual-SIM functionality to expand the storage. Connectivity-wise, the device supports the usual options, including 4G VoLTE, Wi-Fi, Bluetooth and GPS. 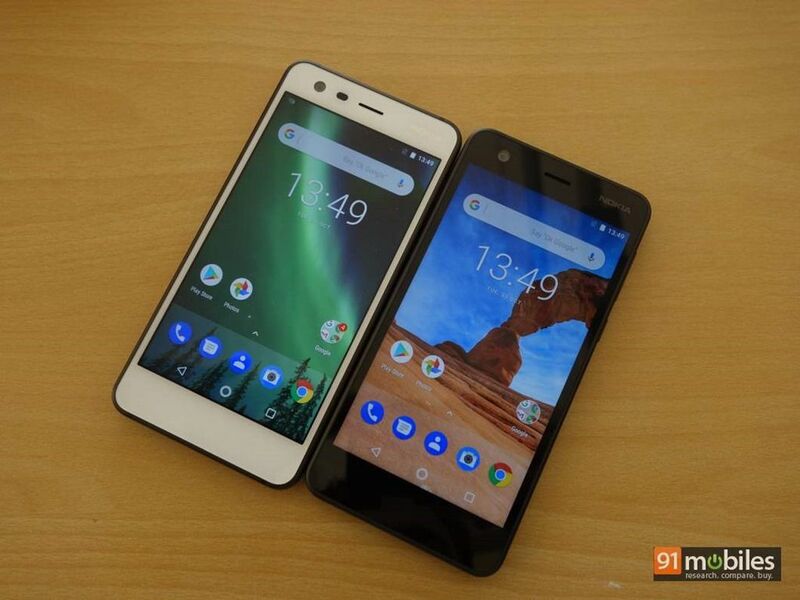 With its Nokia-branded Android smartphones, HMD Global has always focused on providing solid build, smooth user experience and the purest and latest version of Android. The Nokia 2 offers all that, and adds a powerful battery to the mix. 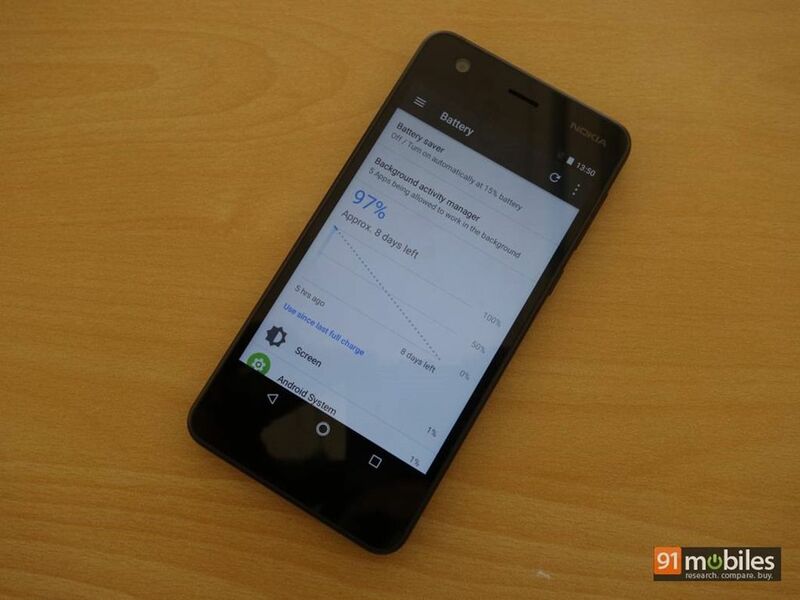 Combine that with its approximate pricing of Rs 7,500, and the device comes across as a compelling proposition. 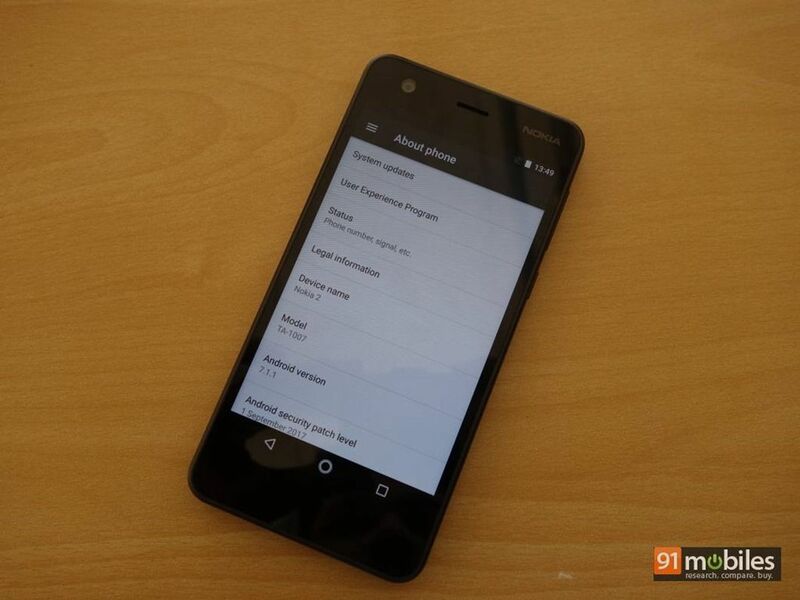 However, options like the Xiaomi Redmi 4 (review) might seem better to spec-obsessed consumers, so it’d be interesting to see whether Nokia’s offering is able to change that. We’ll certainly be checking that out in our review, so keep an eye out for that.